The world's most famous (and only?) pink cat is back. Perhaps you remember him from way back in his debut film (1963's The Pink Panther), or from his long-running animated TV program. Either way, you're certainly at least familiar with his image as one of the world's most recognized animated characters. Now you can get to know him up close and personal in a fantastic new Playtech powered slot machine game available to play on Titan Casino, Bet365 Casino, Casino Tropez, BetFair Casino and Europa Casino. As soon as you download this slick new game, you'll be captivated by the incredible graphics as your screen comes alive with the images of the Pink Panther himself, the bumbling Inspector Clouseau, and the Pink Panther's all-time nemesis, Little Man. Entertainment is great, but so is winning. Luckily there are plenty of opportunities to do just that! Get five Pink Panthers and win 5,000 times your line bet. Other great goals include the Pink Bow bonus, the Color Pink bonus, the Wheel of Pink bonus, and the Pink Trail bonus (picking up on a theme here?). 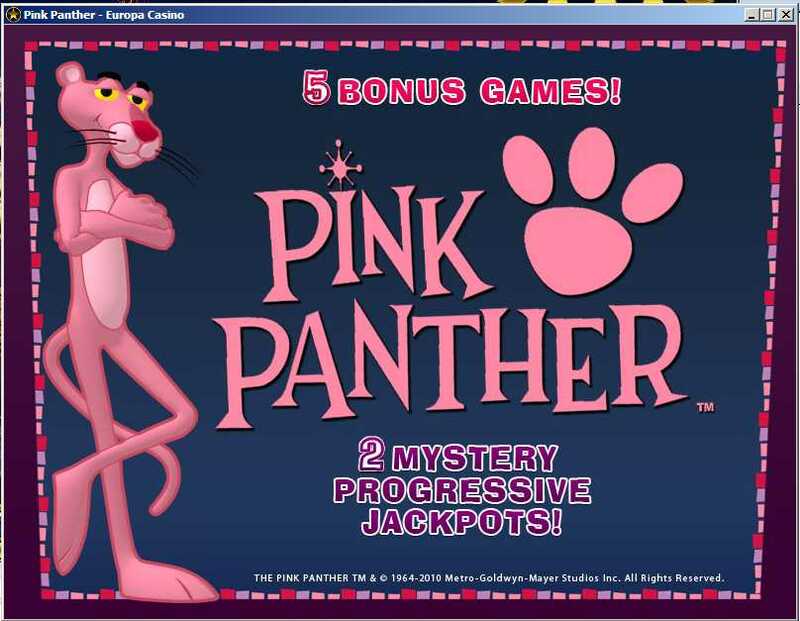 In the spirit of the Pink Panther there are also plenty of mysteries to uncover including two mystery progressive jackpots and five mystery bonuses. 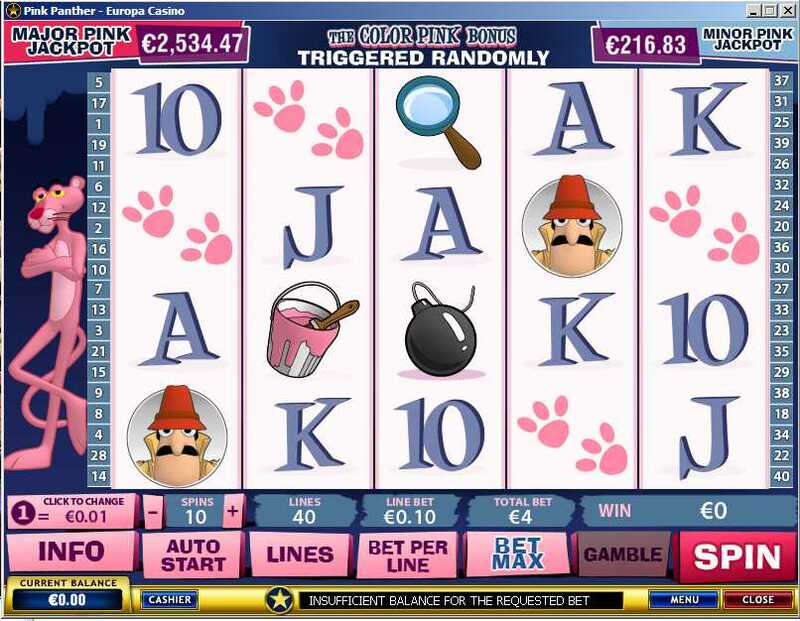 Visit Titan Casino, Bet365 Casino Casino Tropez, BetFair Casino and Europa Casino to try your luck with the Pink Panther online slot game.